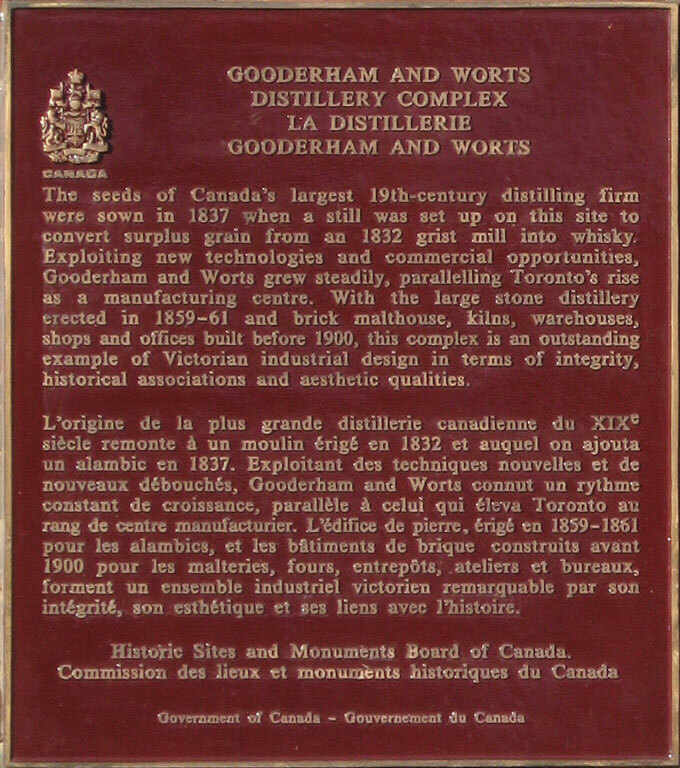 Toronto’s Distillery District was designated as a national historic site because the “complex is an outstanding example of Victorian industrial design in terms of integrity, historical association and aesthetic qualities.” Founded in 1832, Gooderham & Worts began as a windmill in the wilderness and grew to become the largest distillery in the world and the largest corporate taxpayer in Canada. Created during the site’s 175th anniversary, this website is dedicated to bringing to life the history and heritage of the Distillery District from earliest times onward. It includes a broad range of materials that should be of interest to serious researchers and casual visitors alike. New materials are frequently added, so check back in. The Heritage Toronto Awards jury found the Distillery District website to be an impressive and user-friendly website that uses an elegant style that is easy to navigate. The site is well researched and presented, allowing visitors to wander through the Distillery District's history, photographs and links. The website can be used by every level of browser; from the tourist to the researcher. This use of modern media to inform, instruct and inspire contains all the elements that make this website the jury choice for the Award of Excellence. The Distillery District has been an enthusiastic participant in Doors Open, Toronto’s annual celebration of its built heritage. Each year we have prepared a handout to introduce the thousands of visitors who have ventured into some very unusual spaces. Although many of the previous venues are usually off-limits, some can be visited at any time and the others remain of general historic interest. So we are posting these annual handouts for your enjoyment. Because the addresses for the venues changed from Building Number to Street Address, the new addresses have been added where necessary to the table of contents. To view our handouts click here.